This post was sponsored by Amazon, but all thoughts and opinions are my own. It is spring break season which means summer is just around the corner. Our spring break is toward the end of March, and I am so looking forward to it. It’s going to be so nice to spend some time outdoors and enjoy the warmer weather. In addition to having fun in the sun, my family will be working on our reading skills wich can be totally fun for kids too if you approach it the right way. Learning loss is something I worry about during extended breaks from school, and starting a family book club is a fantastic way to prevent brain drain, and in the process have some great family time. My little girl and I both love to read, so having a family book club is easily a good time for us. I realize that not all kids like to read though, so a book club is a great way to trick children into sharpening reading skills while they are having fun and spending some quality time with mom and/or dad. 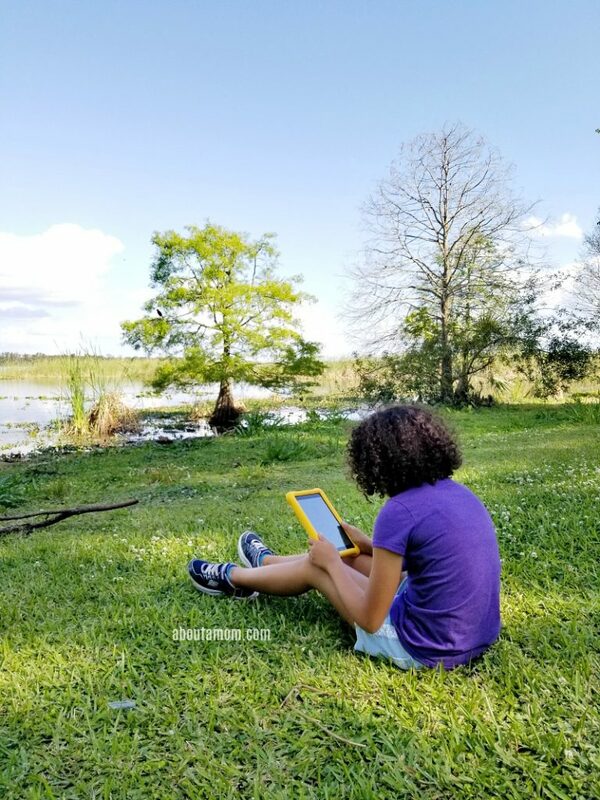 You may recall that I recently shared why I think the Amazon Fire HD 8 Kids Edition Tablet is a great tool for after school. With thousands of children’s books avialble through Amazon FreeTime and an incredibly helpful Parent Dashboard, this tablet is also very useful for your family book club. I’m excited to tell you why! You’ll need to choose if you want to read the books together as a family or read independently, and then just meetup to discuss the book. Whichever option you choose will likely depend on the ages of your children. To find books, I recommend a trip to your local, or if you have an Amazon Fire HD 8 Kids Edition Tablet you can choose from thousands of available titles. Each new Amazon Fire HD 8 Kids Edition Tablet comes with a one-year subscription to Amazon FreeTime Unlimited. 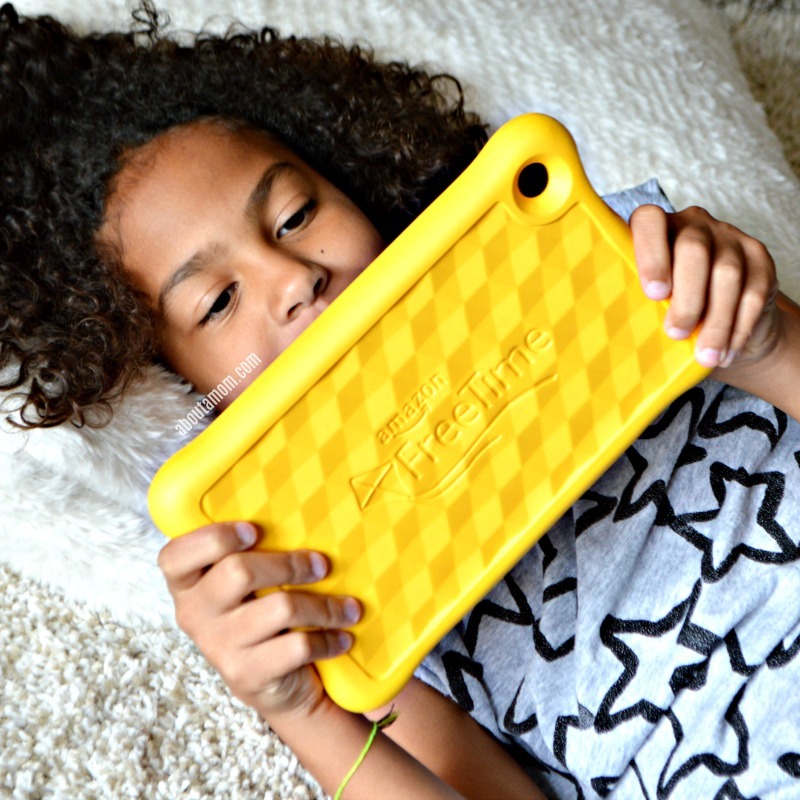 Amazon FreeTime Unlimited is an optional all-in-one subscription service that gives kids unlimited access to over 15,000 books, videos, educational apps, and games that are age-appropriate and hand-curated by the FreeTime team. After the first year, Amazon FreeTime Unlimited starts at just $2.99 per month for Prime members and $4.99 per month for customers who are not yet Prime members. Choose reading goals. I recommend having a set amount of time that you read each day. The beauty of starting your own family book club is that you can establish reading times that fit within your schedule and you can be flexible as needed. 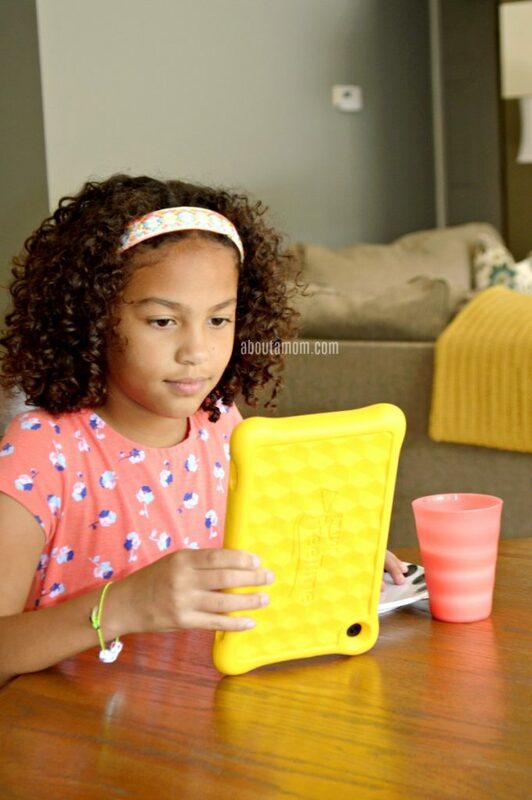 If you’re child is reading books on their Amazon Fire HD 8 Kids Edition Tablet, I have some awesome tips for using the Parental Control settings which are part of the FreeTime subscription. The Parental Control settings can be used to set reading goals and time limits for your kids. 1. To access your Parental Control settings: From within Amazon FreeTime, swipe down from the top of your screen and tap the settings icon in the top corner. Tap the child profile you wish to edit. 2. From the settings options, select the “Set Daily Goals & Time Limits” option to set educational goals (like having your child read for 30 minutes before videos and games become available), or set a daily time limits (for example, you can set a time limit for apps and videos but allow unlimited time for reading). You can also choose different settings for weekdays and weekends. Also, via the Parent Dashboard you can easily can view daily activity reports on your child’s activity in FreeTime. Luckily, my 9-year old really likes to read, but if that isn’t the case with your kids I have some ideas for you. Kids will enjoy reading more if you make it fun and interesting. Consider doing crafts or activities that complement the book you are reading. If your child is reading on their Amazon Fire HD 8 Kids Edition Tablet, parents can use use Discussion Cards (found on the Parent Dashboard) to find ideas for ways to connect your online reading experience with real-world activities, such as “volunteer at the local animal shelter to help homeless dogs and cats.” There is more on the Parent Dashboard below. Have kids dress up as a character in the book you are reading. Read at night using a flashlight. This is especially fun when done in a tent or fort. Changing the scenery is also helpful. Grab some sheets or blankets, and build a reading fort or simply get cozy by tossing some extra-large pillows onto the floor. When the weather is nice, my family likes to read outdoors which happened to be the case last weekend. We did a little reading along the lake at our favorite park. Have a family book club meeting. Set a time for a book club meeting to discuss your book. Encourage kids to journal or take notes while they are reading, in preparation for the discussion. The Amazon Fire HD 8 Kids Edition Tablet has a really cool feature for parents to aid in your book club discussion. Discussion Cards give parents that “family book club” approach with summaries and sample questions based on the books that are viewed within Amazon FreeTime. Discussion Cards are available for most of the popular books, videos, educational apps, and websites included in FreeTime. To access Discussion Cards on Parent Dashboard, simply tap into a specific book, video, app or game title to get more detail. During book club meetings I like to provide snacks, and when possible a treat that fits with the theme of the book we are reading. Your book club meeting is also a great time to give out rewards for reading. You don’t have to spend a lot of money on this. I typically hit up my local “everything’s a dollar” store. I think starting a family book club is a great way to spend spring break. Do you have any fun spring break plans that involve reading? If you like this post, please Pin It and share it with your friends! 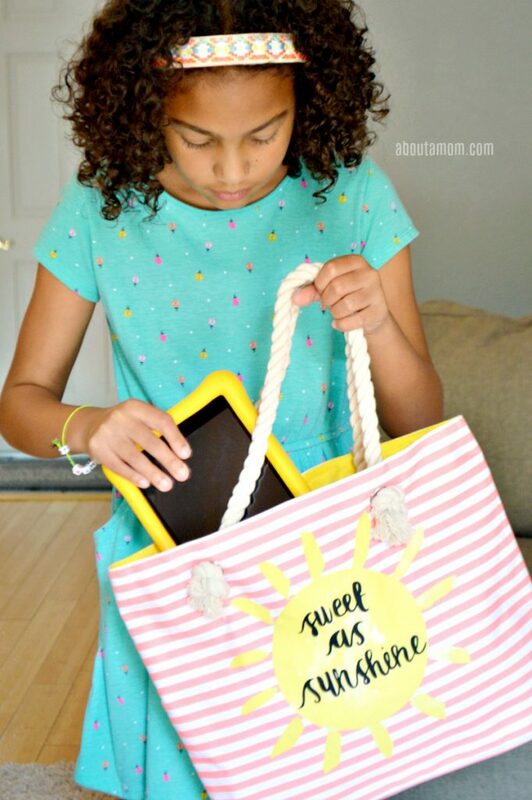 This is a great idea and fun way to get your child to want to read even more! Reading is so fun and an activity people young and old can enjoy together. This is a great idea! I agree that the choice of book is very important. Didn’t know all these options were available on Kindle. We can get even more out of our Amazon prime membership and the boy will be motivated to reach his daily reading goals! what an awesome idea. My little one is too smal now but great idea for the future! Reading in this house is chaos. We get it done but every kid wants to be read to at the same time. I love that they love to read! I love the idea of starting a family book club, I am going to check this out further. My boys need to start reading more and I do too. The teenager reads all of the time though! I love all of this so much! I would love to do something like this with my kids someday. My husband and I both love reading and I think this is such a great, fun way to get kids to like reading and be educational too. Seriously great idea. Reading is such a healthy habit and I like the idea of a family book club. I bet it’ll be so much fun. I love that this encourages good reading habits and incorporates technology into it as well. Reading is key to increasing academic performance. I really love these ideas. These will be helpful in getting kids to want to read more.